The new Acura RL ranks in top 3 among luxury large cars. Our review is based on several published reviews and analysis of test drive data available online for Acura RL. The 2010 Acura RL does not receive the superior status as some well known names in luxury cars, but it is an excellent alternative to many luxury cars. Moreover, Acura offers excellent cabin electronics, Honda top resale value, and economical price that never climbs up. Some reviewers are not happy with its performance and shortage of space. Most of the luxury cars are slightly different, but Acura RL is different. There is no V8 offer in Acura RL. Acura RL unique SH-AWD system is excellent, which provides precise handling in hard corners. Acura is more about agility and more high tech digital luxury. The Acura RL features 3.7 liter V6 engine, which produces 300 horsepower. It is a powerful engine to match with other cars V8’s. It is slower than many V8 cars and reviewers are also not happy about its poor fuel economy of 16 mpg city and 22 mpg on highway. Fuel economy is the major difference that’s why it ranks in the bottom for fuel efficient cars. However, SH-AWD system makes it a fun to drive car. The system helps to steer the car maintaining a good grip on hard corners. You will enjoy the drive the car on winding road. If you are looking for more powerful luxury car, then try Jaguar XF or BMW 5 Series. However, you cannot compare Acura RL with these cars. 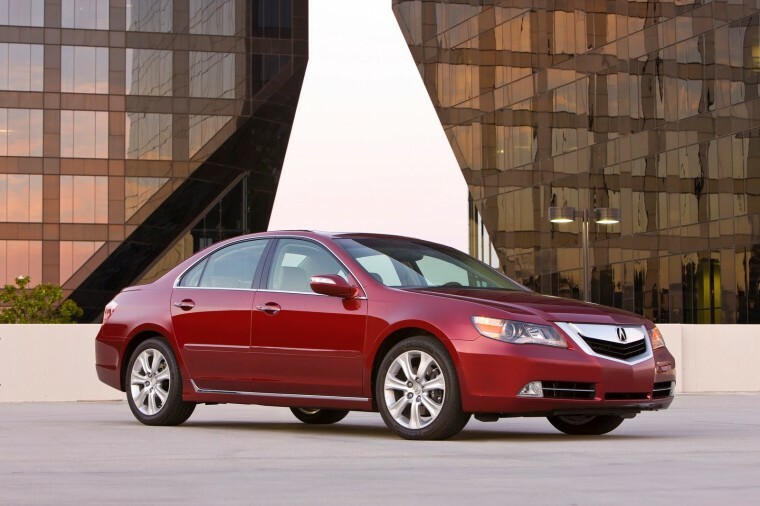 The Acura RL is available in only one trim for 2010, but there is a lot more to expect in 2011. Reviewers are positive about the impressive SH-AWD system that helps in the road grip, but V6 is not that much powerful. The real drawback is 16/22 fuel economy. Even some of the V8s are more fuel efficient than V6 RL. The Mercedes Benz E550 is more fuel efficient and powerful alternative. The Acura RL is not the fastest luxury car, but it offers adequate smooth handling and speed. There is five speed automatic transmission with manual shifting ability. Most of the competitors offer six speed automatic transmission. There is not much impressive about acceleration. The only thing impressive is SH-AWD system. Reviewers are also not happy with car’s electrically assisted, speed sensitive steering. However, Acura RL is easy to handle at high speeds. Acura is renowned for interiors loaded with excessive technological innovation characteristics, which appear to utilize an amount of improvement and simplicity of use that numerous competitors are unable to meet. The 2010 Acura RL seats are extra ordinary with six temperature control configurations and 10 way power tunings. Back seats have more space than previous models of RL, but still not comparable with competitors. If you drive the car with adults, then consider the Infiniti M. Cabin offers so many features and electronics. There is voice controlled navigation system with weather reports. There is also solar sensing climate control system, which adjust the temperature with the position of the sun. Reviewers say that the systems are good and not complicated like BMW iDrive and Mercedes COMAND systems. 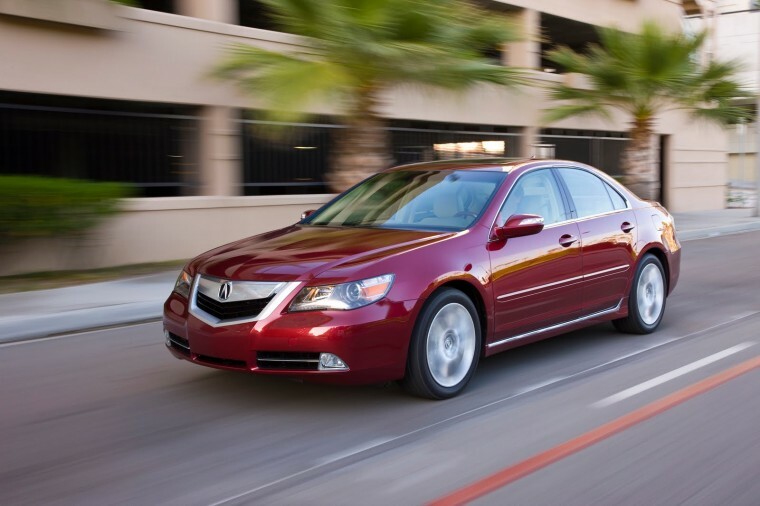 The 2010 Acura RL is the safest car to drive. It receives 5 out of five stars in both front and side impact crash tests. RL also got five star rating for prevention of rollover. There are also many safety features like four-wheel anti lock disc brakes with brake assists, front seat side airbags, and full length side curtain airbags. There is also standard Active front head restraint, which prevents whiplash injuries. There is optional Collision Mitigation Braking that uses radar to sense objects near the vehicle. Acura RL is the reliable car to drive with so many options. RL comes with four years or 50,000 miles warranty and six years or 70,000 miles power train warranty. Acura is a reliable car and perfect car for your luxury needs.